Old is gold and the Eveline is true testament to that phrase. Marking its 100th year, the Eveline, owned by Dato’ Richard Curtis, has been a steady craft in eight RLIRs. 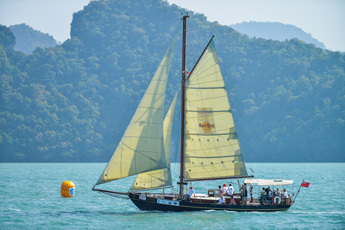 While bigger, faster yachts may whizz past, the Eveline is a sight to behold in its graceful glide over Langkawi waters. She won the Overall Series, Ocean Rover Class at the RLIR 2014.